At Chetak, we are committed to offer the best client experience. Our team consists of multilingual directors and staff who speak English, French, Hindi, Tamil and other Indian languages. Through its dedication and customer care, the team has set a benchmark for Travel Related Services in India/Pondicherry. We have deployed the right people and the right technology to consistently deliver premium quality services. We provide a one-stop shop for all your hassle-free holidays and travel needs. Our services include Travel Itinerary Planning, Air Ticketing, Hotel Booking, Taxi/Coach Services, Visa Assistance, Travel Insurance, MICE/Corporate Events and Meet & Assist. 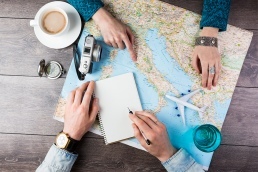 Planning your trip/holiday nowadays can be daunting as infinite options are available at your fingertips, thus making travel decisions more difficult and confusing. Chetak proposes customized travel/tour packages such as wildlife safari expeditions, pilgrimage tours, relaxation tours with massage at spa resorts, Ayurvedic health packages, honeymoon packages, etc. We also provide individual services like hotel reservations, houseboat reservations, transportation or other tour activities like trekking, mountaineering, boating, rafting, etc. 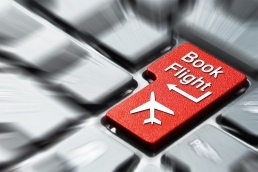 We provide ticketing for domestic and international air travel. Chetak is approved by IATA (International Air Transport Association) and is also a member of TAAI (Travel Agents Association of India). Chetak is powered by GALILEO real time reservation systems, which enables instant ticketing. We make all efforts to book your flights to any destination of your choice at the lowest possible rate, and with the shortest journey time. Our staff with 15+ years of experience will ensure that the best routing/tariffs are provided to you. Meetings, incentives, conferences and exhibitions/events (MICE) is a type of tourism in which large groups, usually planned well in advance, are brought together for a specific purpose. We have handled various international groups and organized key events in India. We help you organize the event right from conception to completion. We also operate with international organizations in creating theme based team-building events in Pondicherry. Our travel team is ready to help you with your hotel reservations worldwide. Be it a star category hotel, resort, home-stay or a guesthouse; leave the hassle of reservation to us. 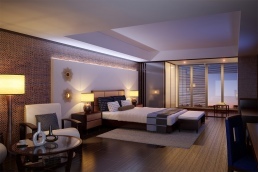 The directors personally know the owners of various hotels suggested which helps you get the best rooms at each property for the right price. We work with like-minded property owners that help us provide a differentiated approach than what is proposed by various online portals. We ensure that we monitor your wellbeing at most locations until your departure from the property. 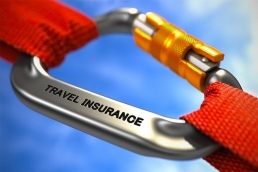 Regardless of whether your upcoming trip is for pleasure, business, or both, travel insurance is highly recommended. The premium payable to protect yourself from things such as loss of documents/luggage, flight cancellations, hotel issues, illnesses and accidents, is negligible compared to the amount you would need to pay were you not adequately insured. After a detailed discussion with you, we can assist you in choosing the right insurance cover according to your travel plan. In case something goes wrong with your trip, due to unavoidable circumstances, we provide you help/advise to claim the relevant insurance. We meet the transport requirements of tourists, delegates attending conferences, trade shows, visiting foreign dignitaries, etc. We provide different types of cars and coaches with varying seating capacity/luxury to meet specific requirements of clients around the world. By sending you our vehicles, we help you save time and avoid long queues at cab service. 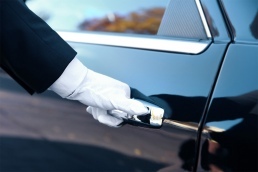 Personally assessed by us, our chauffeurs are assigned to each client based on his/her preference (e.g. English/local language speaking, experienced in the specific itinerary selected, repeat clients with the same chauffeurs, etc. ), subject to availability. For domestic and international clients, our knowledge of visa formalities and regulations enables us to provide you with expert guidance/counseling on acquiring the right visas (Business, Tourist, Student, etc.). We will advise you on the correct set of documents required, the level of detail that needs to be highlighted in your application, reference and invitation, etc. 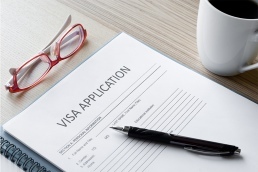 Tell us your requirements and we will be happy to assist you for any type of visa.